Did you know that in addition to courier services, Zipp Express also offers trucking services for large shipments and deliveries? Founded in 1989, Zipp Express has been offering on-demand delivery services across the St. Louis Metropolitan area for 30 years! Along our journey, we have expanded our offerings as we’ve grown. Our trucking services are designed with the customer in mind, covering all your needs and ensuring your deliveries arrive on time. Many customers are able to reduce uncertainty in their delivery routes by scheduling recurring shipment and deliveries using our fleet. If you need a delivery partner with a fleet of trucks and drivers, read on for more reasons to work with Zipp Express! Recognizing our customers’ needs, Zipp Express established Zipp Express Cargo Division, which provides a full range of air freight and cartridge services. These offerings are complemented by our final-mile trucking services. 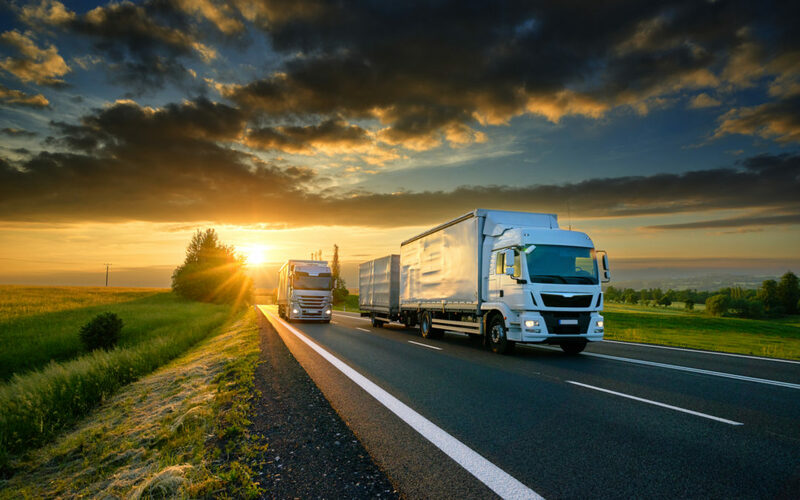 Our range of trucks and drivers offers commercial delivery, residential delivery, hospital delivery service, and convention center and sporting arena drop off and pick up. Fully trained drivers will ensure your shipment arrives on time, every time. Our drivers are TSA compliant and hazardous materials certified to handle any sensitive loads. The Zipp Express fleet of trucks is comprised of 24’-26’ straight trucks, 48’-53’ tractor-trailers, and flatbeds, and our drivers utilize all vehicle sizes including sprinters, cube trucks, dock-high trucks, and tractor-trailers. If you have a shipment that needs to get somewhere, we can do it! If you are looking to complete your delivery, Zipp Express offers both commercial and residential final mile delivery. Two of the most common uses for trucking services are final-mile delivery and asset recovery. Zipp Express can retrieve your cargo from St. Louis Lambert International Airport (STL) and ship it to your desired destination. Our TSA compliant drivers are ready to handle all of your air freight needs, ensuring that any NFO (next flight out) deliveries arrive on time, every time. For any sensitive shipments, we can also accommodate curbside, threshold, and white glove service needs. We also understand the specialized nature of medical equipment, and our drivers are experienced in transport, delivery, uncrating and set-up of high-value devices, along with debris removal. We can accommodate any storage needs paired with your delivery with our 40,000 square foot warehouse, which has 25’ ceilings and 40’ column spans. Our warehouse is staffed from 7:00 – 18:30 Monday – Friday with 24-hour access available by appointment, ensuring that you have access to your cargo whenever you may need it. Our team of professionals performs dock-to-dock delivery and lift-gate services, and our warehouse offers a drive-in ramp used by cars and vans for quick loading, unloading, and cross-dock work. Servicing a 150 air-mile radius of St. Louis, Zipp Express holds a 48-state authority for expedited runs. Based out of our conveniently located warehouse, the Zipp Express team has easy access to St. Louis Lambert International Airport (STL) and I-270 and I-70—major highways running through the city. All of the services provided by Zipp Express are done with customer trust and satisfaction in mind, and communication is key. We can ensure that you are kept updated on the status of your delivery. Zipp Express utilizes state of the art technology and offers real-time tracking, signature capture, and proof-of-delivery notification via email. We know how important it is to customers to be informed throughout the process, and we make that easy. Our team of trained professionals is dedicated to great delivery execution, and our locally-owned and operated business is full insured. We welcome the opportunity to service your delivery needs! Become one of our satisfied customers and contact us today for your delivery and warehouse needs! Don’t just ship it, Zipp it!